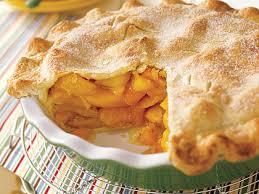 The Church office is taking order for your Choice of Fruit Pies, Don't like making choices, buy some of each. We have Apple, Blueberry, Cherry, Peach, Rhubarb, and Strawberry Rhubarb. We have Small (4"), Medium (6") and Large (8") sizes that range from $3.50, 6.50 & 7.50 respectively. If you'd like to place an order call at 269-694-2939 . Pre- Orders can be picked up on July 19. We will call you when they are ready. Thank you. On July 20 from 8:00 a.m. to 3:00 p.m. the pies will be for sale with a bonus of very cute handmade little girl sundresses also for sale.